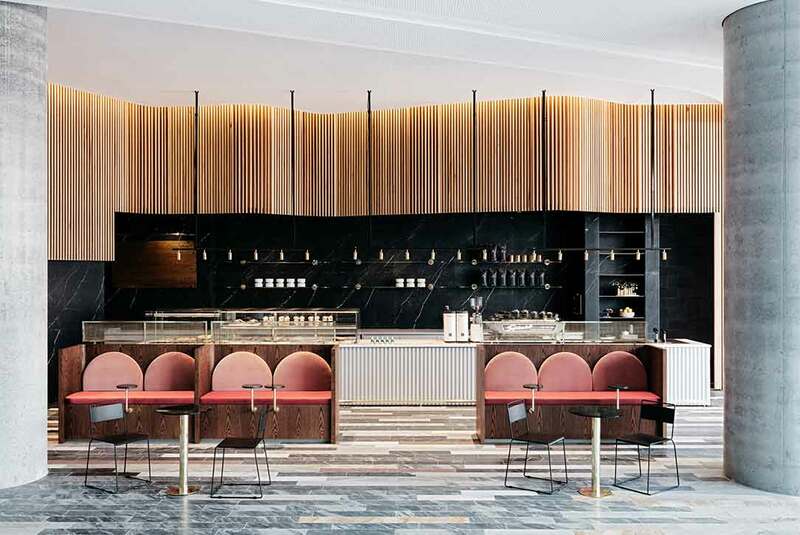 Studio Tate worked with Australian coffee brand Toby’s Estate to create a café inserted into the ground floor of the new Commonwealth Bank office building at Darling Square. Working collaboratively with the client, Darling Square developer Lendlease and base build Architect Woods Baggot was crucial to the process to ensure that the design conformed to the rigorous approval process. 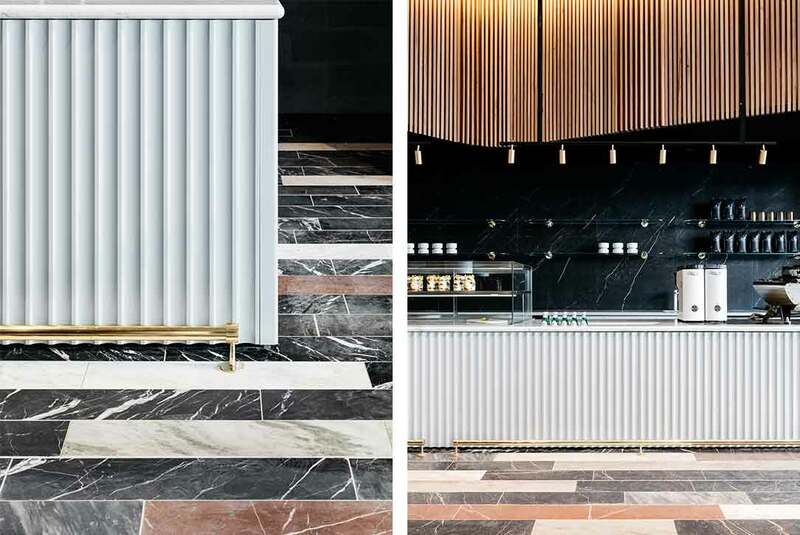 With a bank as the anchor tenant, and a grand entry foyer featuring decorative stone floors adjacent to the premises, we built our design around the historic idea of a treasury and its restrained, opulent aesthetic. 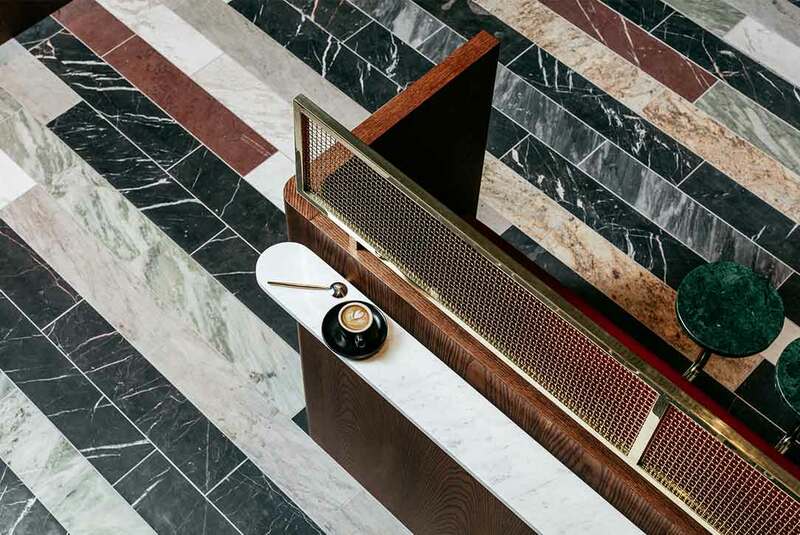 The interiors feature rich tones and warm, metallic finishes to evoke the gravitas of traditional treasury design and the gold they guard within their walls. 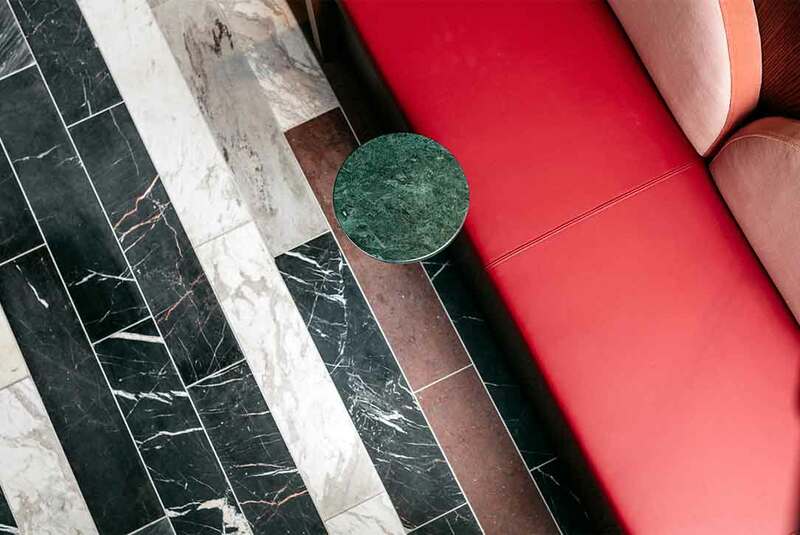 Materials reinforce the old-school feel, with dark green stone, and classic selections of black, green and white marble, along with plush velvet for seating. 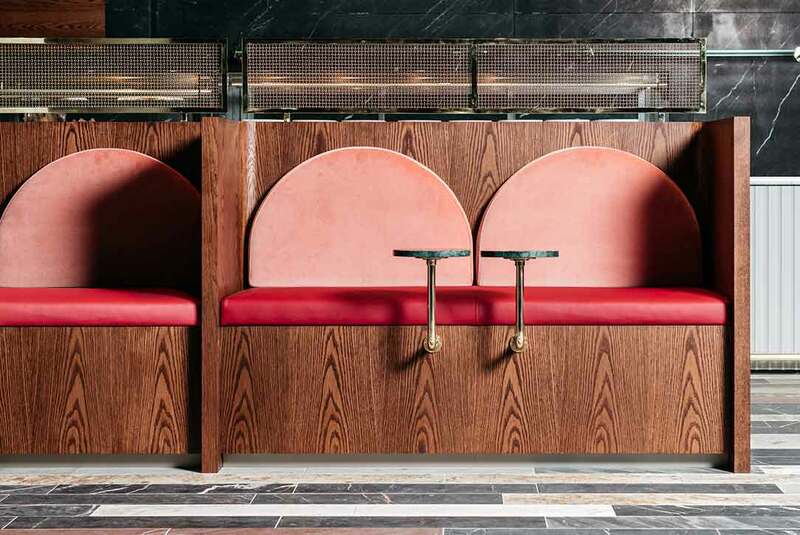 The vintage sensibility is found in details such as the bullnose benchtops, replete with brass kick rails, or high bars with integrated lighting, reminiscent of bankers’ desks. Upholstered banquettes have small stone ledges to the rear – not for writing cheques, but resting a cup of coffee. 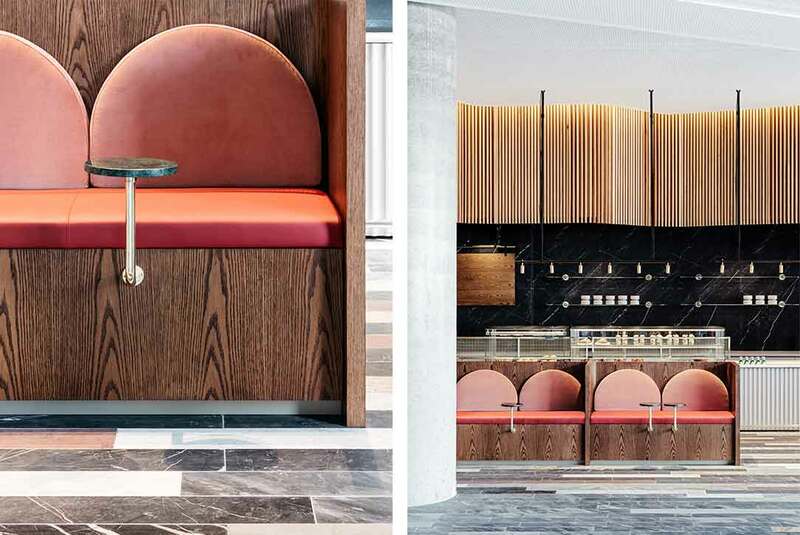 The space is divided into demarcated options of high bars, lounge settings, booths and communal dining. 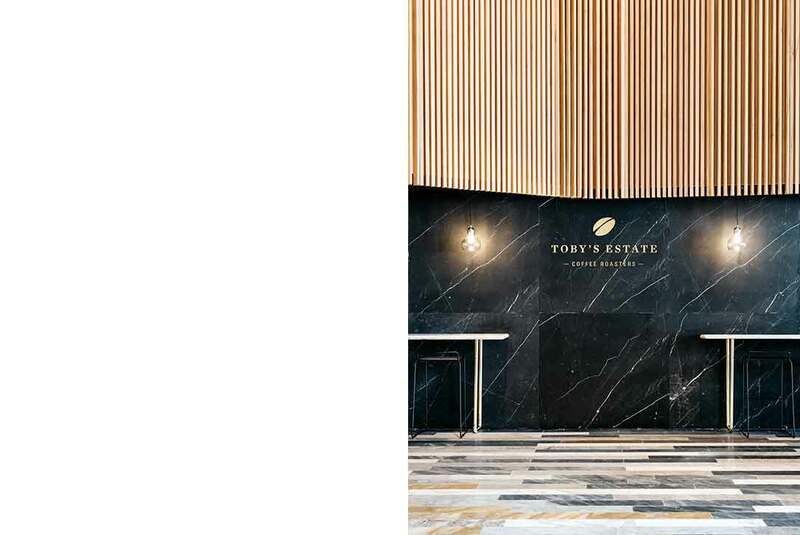 Studio Tate worked with Australian coffee brand Toby’s Estate to create a café inserted into the ground floor of the new Commonwealth Bank office building at Darling Square. 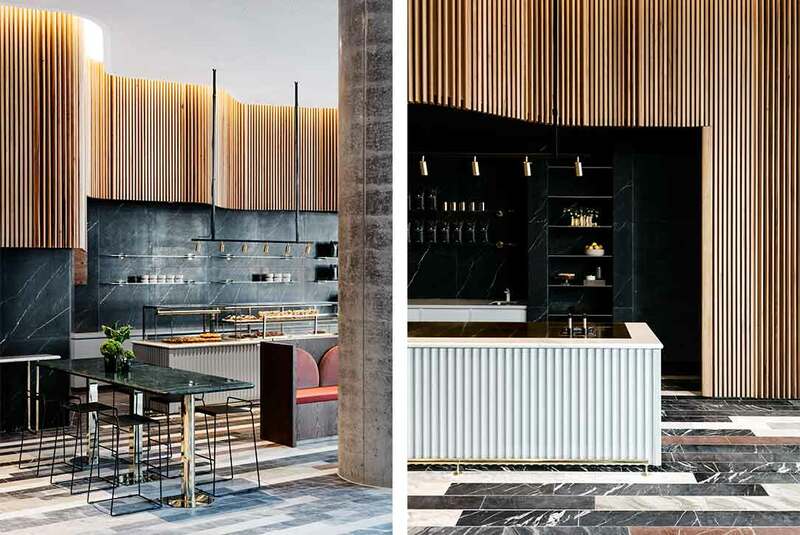 Working collaboratively with both the client and Darling Square developer Lendlease was crucial to the process to ensure that the design conformed to the rigorous approval process.